Congressman Charles W. Boustany Jr. Congressman Charles W. Boustany Jr., MD, is a Counselor at NBR and the inaugural chair holder of the Center for Innovation, Trade, and Strategy at NBR. Congressman Boustany retired from the U.S. Congress after serving from 2005 to 2017. He represented Louisiana’s 7th Congressional District, which later became Louisiana’s 3rd Congressional District after reapportionment. During his tenure, he served on the House Ways and Means Committee and chaired the Subcommittee on Oversight, the Subcommittee on Human Resources, and the Subcommittee on Tax Policy. He was also a senior member of the Subcommittee on Trade. 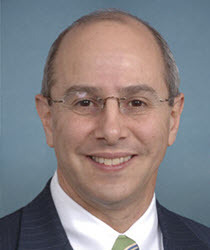 Congressman Boustany was an acknowledged leader in the areas of trade policy, international tax policy, energy policy, and foreign policy in the U.S. House of Representatives. He co-chaired the U.S.-China Working Group, the U.S.-Japan Caucus, and the Friends of TPP Caucus. Congressman Boustany was a very early promoter of U.S. exports of liquefied natural gas and crude oil. Prior to his election to Congress, Congressman Boustany was in the private practice of medicine as a thoracic and cardiovascular surgeon in Lafayette, Louisiana.